Oenophiles of all kinds – from casual sippers and samplers to serious connoisseurs and collectors – will have four days to celebrate the nectar of the gods at the Charlotte Wine & Food Weekend. 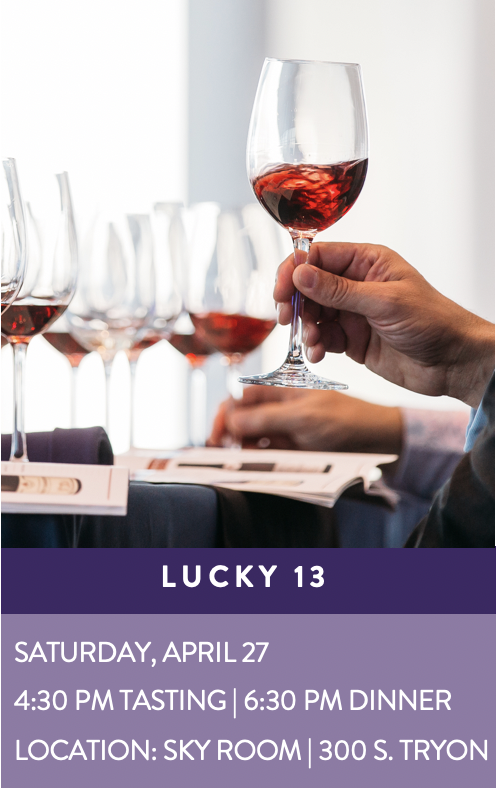 Attendees will not just be imbibing the world’s finest wines, savoring the creations of the area’s top chefs, hobnobbing with renowned vintners and somms, adding to their wine knowledge, and bidding on fantastic one-of-a-kind items, they will also be helping area children. Proceeds for 2019 benefit five local children’s charities; Charlotte Concerts, Pat’s Place, Mitchell’s Fund, The Relatives, and The Council for Children’s Rights. In 1989, a group of civic-minded wine and food enthusiasts had a vision of creating a series of events to raise money for charity. Out of this vision, the Charlotte Wine & Food Weekend was born and we have contributed over $5 million to the community over the last quarter century. With time and care, the event has grown in stature, attracting the best winemakers and chefs from around the world. In fact, Forbes Travel Guide ranked Charlotte Wine & Food Weekend one of the top five in the United States in 2014 and most recently was chosen as a must-attend wine event by the Sommeliers Choice Awards. Morrison Smith Fine & Custom Jewelers! 100% tax-deductible unless you're the lucky winner! Tickets can be purchased at Charlotte Wine & Food Weekend events or online through Saturday, April 27. The winner will be announced the first week of May. All proceed benefit Charlotte Wine & Food Weekend’s charity partners!